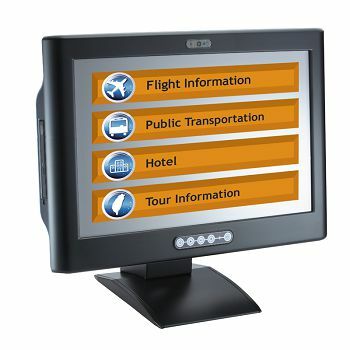 Public Information Kiosk: Public information kiosks provide convenient services to customers, such as live message, headline news and store direction, or even searching function. Bill Payment Kiosk: The kiosk serves as an excellent aggregation point for financial services, including online banking, check cashing, money orders and eCommerce. Ticketing Kiosk: For amusement parks, airports, stadiums and lotteries, self-service ticket kiosks are convenient and saving time. Photo Kiosk: Photo kiosks offer quality photo finishing, film processing, photo sharing, and ordering prints. 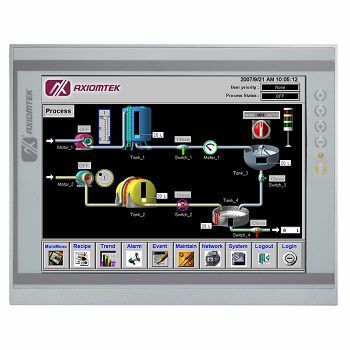 The FDK series is an open frame panel computer with outstanding configuration flexibility which can be configured in many ways to deliver best ROI for customer. To be easily fit into any space or encased in any chassis, the FDK series comes with open frame and slim design. For versatile applications, several touchscreen options can offer different intelligent user experiences. The VR for brightness adjustment on back cover makes maintenance easier and faster. For WiFi & 3G connection, this slim unit incorporates Mini Card slot for expansion capability. The FDK series can be widely deployed in indoor kiosk, HMI automation, and much more applications. 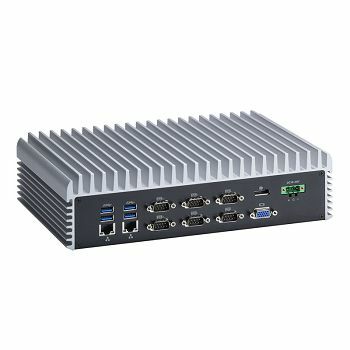 Axiomtek's P1000 series is the industrial panel computers which adopt Intel® Core™, Pentium® M, Celeron® M processors for high computing capability to satisfy customer's demands. Features include front accessible USB ports, a back door design for easy maintenance and upgrade, SAW (Source Acoustic Wave) touch screens and most O.S. support. Axiomtek's P6000 series features multiple mounting methods for various industrial harsh environments. It also provides monitor sizes of 10.4", 12.1", 15", 17" and 19", and supports high brightness TFT LCD, waterproof & dust-proof front panel light duty aluminum panel & chassis. In order to provide more flexible configurations, the open frame design is also available.